Captain Dennis M. Holland USCG (Ret. ), 61, of Stafford passed away unexpectedly on Thursday, April 11, 2019 at Stafford Hospital after a short battle with lung cancer. Dennis was a graduate of Tabb High School in Tabb and a graduate of the U.S. Coast Guard Academy, class of 1979. He has been a resident of Stafford since 2003 upon his retirement from the Coast Guard and was employed by Coast Guard Headquarters. Dennis served in the USCG for 26 years, 30 years with Academy time. The Coast Guard afforded his love for travel and this passion continued after retirement with trips to Honduras for scuba diving, ski trips, and many vacations with his granddaughters. He enjoyed camping, hunting, exploring breweries, NASCAR, and the outdoors. Dennis was a devout Catholic and was a member of St. William of York Catholic Church. His faith in God, adventurous and optimistic spirit endeared him to others. Survivors include his four children, Alyssa Strickland (Kevin), Sean Holland (Nicollette), Matthew Holland, and Meghan Holland; granddaughters Kinsley and Hadlyn; father Don Holland (Patricia); sisters Tracey Holland, Kelley Holland and Lisa Holland; brother Dave Holland (Traci); and numerous nieces and nephews. Dennis recently found love again with partner Pam Arledge, who stayed by his side throughout his illness and was a loving companion. He was preceded in death by his wife, Patrice M. Holland. The family will receive friends from 6 to 8 p.m. on Monday, April 15 at Covenant Funeral Service, Stafford. A rosary will be held at 6 p.m. A Mass of celebration will be held at 11 a.m. on Tuesday, April 16 at St. William of York Catholic Church. Interment will be in Arlington National Cemetery at a later date. In lieu of flowers, donations may be made to the Fredericksburg Regional Food Bank, 3631 Lee Hill Drive, Fredericksburg, VA 22408. Online guest book at covenantfuneralservice.com. Gordon Vernon "Punky" Clarke, born May 22, 1937, passed away peacefully with his family at his side on April 8, 2019. Originally from King George County VA, he was the son of Inez Griffin Clarke and Gordon Webster Clarke. He is survived by his wife of nearly 60 years, June Roberts Clarke from Alexandria, VA. He is also survived by his sons, Victor Gordon Clarke (Robin) and Kevin Nevelle Clarke (Cheryl), and his most cherished grandchildren Casey (Claire), Austin, Nick, Savannah, and Colby. He also leaves one sister, Charlotte Ann Clarke and nephew Brian (Beth). Punky was a graduate of William and Mary ('59); and worked for City of Alexandria Schools, Xerox Corp, Fairfax County Schools, and as owner of World's Best Cheesecake. Past President of Alexandria Jaycees. In lieu of flowers please consider a contribution to LoveShriners.org. A service and reception will be held at 12:00pm Monday, April 22 at the Slash Christian Church in Ashland followed by private family ceremony at the College of William & Mary Scatter Garden. A more raucous celebration of Punky's life will be held from 3:00pm to 5:00pm on Saturday, May 18 at the Hilton Alexandria Mark Center in Alexandria. JoAn Louise Konicki, 73, of Spotsylvania, passed away at home on Wednesday, April 10, 2019 after a ten year battle with Alzheimer's Disease. JoAn was a 1963 graduate of Saint Dominic High School in Lewiston, Maine and after graduation she worked in the medical field. She met her husband after graduation and was quickly introduced to life in the Marine Corps. JoAn is survived by her husband, John Konicki; her sons, Chris, Craig, James and Jon; her brothers, Marcel, Richard, Paul; her sisters, Claudette Nelson and Claire Goulet; and 16 grandchildren. A service will be held at 11 a.m. on Wednesday, April 17 at Covenant Funeral Service Fredericksburg chapel. The family will receive friends one hour prior to the service. Interment will follow in Quantico National Cemetery. Memorials may be made in JoAn's name and sent to the Alzheimer's Association to www.alz.org. Online guest book at covenantfuneralservice.com. Kevin "Butch" Shade, passed away on April 12, 2019 at his home. A funeral service will be held at 11:00 am on Wednesday, April 17, 2019 at Douglas A. Fiery Funeral Home, 1331 Eastern Blvd N. Hagerstown, MD. Interment will follow at Cedar Lawn Memorial Park in Hagerstown. Friends will be received from 6-8 pm on Tuesday evening, at the funeral home. On April 11, 2019, Janice Ann Thomason passed peacefully from this life into the loving arms of her Lord and Savior. Janice was born on April, 23 1941 in Scranton, Pennsylvania. She attended school in Baltimore County Maryland and loved being a hair dresser for over 25 years. She is preceded in death by her parents, Ralph & Clarice Greggs. Survivors include her loving husband and life partner, Larry Thomason of 54 years; her children, LaRay Thomason and Raymond Taylor; her grandchildren, Charlene Gibson, Heather Gibson and Cody Taylor; great grandchildren, whom she adored, Aden Kearns, Erica Kearns, Emilia Benvenuto and Annabelle Gibson; her sister Linda Beck; and nephews and niece, Todd Cowan, William "Hank" Beck Jr and Lori Freeman. 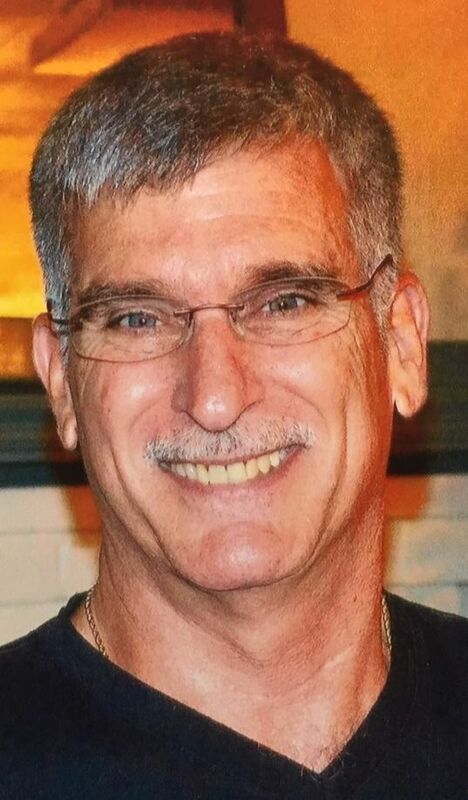 A visitation will be held from 10:30 a.m. to 12:00 p.m. on Tuesday, April 16, 2019 at Bethlehem United Methodist Church, Unionville, with a Celebration of Life service to begin at 12:00 noon. Reverend Ralph Satter will officiate. A reception will follow at the church. Interment will be held at a later date at Culpeper National Cemetery. An online guestbook is available at johnsoncares.com. 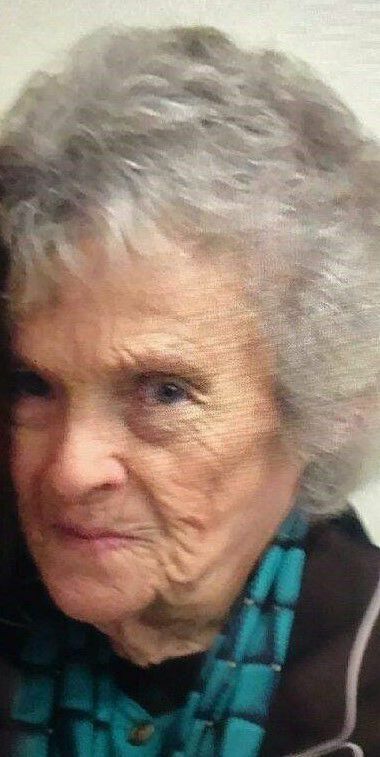 Shirley Brooks Goodman, 78, of Partlow, walked straight into the Arms of Jesus on Friday, April 12, 2019. Shirley was a graduate of Spotsylvania High School and worked for Hilldrup Transfer and Storage. She was a member of Wallers Baptist Church where she held many positions over the years. Shirley's ancestors were of the original 154 Founding Families of the Church. She and her husband traveled extensively to Islands, cruised, and RV'ed through the entire lower 48 states over the years. Shirley was an avid gardener but the garden she grew best were her children, grandchildren, and great-grandchildren. Her giving heart, friendship, and love knew no boundaries. She is survived by her husband of 61 years, Bryan Kenneth Goodman; two sons Robert A. Goodman (Cathy) and Mark T. Goodman (Nancy); daughter Donna Goodman LaBelle (Richard), all of Partlow; Six grandchildren Corey Heflin (Ana), Joshua Heflin (Katie), Matthew Goodman, Jacob Goodman (Danielle Ingalls), Elizabeth Wolfrey (Dylan), and Levi Goodman (Miranda); six beautiful great-grandchildren with another due in May; siblings Fred R. Brooks (Jean) and Barbara B. Constien, both of Falmouth; and numerous nieces and nephews. She was preceded in death by her beloved son, Steven Kenneth Goodman and her parents, Richard and Gladys Brooks. The family will receive friends from 6 to 8 p.m. on Tuesday, April 16 at Wallers Baptist Church. A service will be at 11 a.m. on Wednesday, April 17 at the church. Interment will follow in Wallers Baptist Church Cemetery. The pallbearers will be Corey Heflin, Joshua Heflin, Matthew Goodman, Jacob Goodman, Levi Goodman, and Dylan Wolfrey. Honorary pallbearers will be Sisters of Strength and Homecoming 250 Committee Members. In lieu of flowers, donations may be made to Wallers Baptist Church, 4001 Partlow Rd, Partlow, VA 22534 or to Homecoming 250 or SECA 8812 Courthouse Rd, Spotsylvania, VA 22553. Online guest book at covenantfuneralservice.com. Thomas Edward Hayes, 90, of Fredericksburg, passed away on Thursday, April 11, 2019 at his home after a long battle with Alzheimer's disease. Tom was born in Cedar Bluff, Va. and graduated from Big Creek High School in War, W.Va. in 1948. He enlisted in the U.S. Air Force the same year. Tom served at Donaldson Air Force Base in S.C., Pope Air Force Base in N.C., Chennault Air Force Base in Ill., Forbes Air Force Base in Kan., The Pentagon in D.C., Christmas Island in the South Pacific, and lastly Albrook Air Force Base in the Panama Canal Zone. He retired from the Air Force in 1969. Tom then worked for ConTel Telephone in Va. until he retired again in 1992. Tom was an active bowler, an avid fan of Redskin football, baseball, NASCAR, and western books and movies. Survivors include his daughters, Deborah Anderson (Kenneth), Pattie Sue Santini, and Kellie Jett (Robin); son James Hayes; 15 grandchildren; many great-grandchildren; two great-great grandchildren; his sisters Louise Taylor and Helen Estepp; and brother Charlie Hayes. He was preceded in death by his parents, James Lee Hayes and Barbara Sparks; brothers Richard, Joseph, Robert; sister Jennie-Belle Skeins; his wife, Joan Null Hayes; his second wife, Bernadette Hayes; daughter Becky Vogt Culbertson; and great-granddaughter Madison Jett. Family will receive friends from 6 to 8 p.m. on Wednesday, April 17 at Covenant Funeral Service, Fredericksburg. A service will be held at 10 a.m. on Thursday, April 18 at the funeral home chapel. Interment will follow in Quantico National Cemetery. Online guest book at covenantfuneralservice.com.